In our blog posted on October 11, 2011, we alerted our readers that Eric Gurna and his organization, Development Without Limits, is now offering Please Speak Freely, podcasts of interviews with afterschool and educational thought leaders. After a recent interview with education thinker, Alfie Kohn, Eric asked me to listen to the interview and respond as a guest blogger. My response follows below. I greatly enjoyed the lively exchange between Eric Gurna and Alfie Kohn, in particular their discussion of extended learning time, creativity, and motivating kids without the use of rewards or punishments. 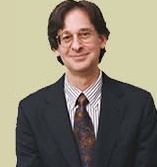 (If you also enjoyed the podcast, I highly recommend that you view some of Alfie Kohn’s video presentations on YouTube). The critical questions facing those who are considering extending the school day, are who will be involved, what methods will be used, and what guidelines will shape quality learning experiences? In California, the Learning in Afterschool & Summer project is promoting that all extended learning be active, collaborative, meaningful, support mastery, and expanding the horizons of the participants. Alfie Kohn and Eric also talked about the importance of promoting young people’s creativity. Creativity is re-entering the educational debate as evidence by two recent articles in Education Week. According to Sarah D. Sparks, “Teaching creativity has been a hot-button topic this fall, from the National Academy of Education's annual meeting in Washington to a Learning and the Brain conference in Boston. Yet researchers are just beginning to determine what makes some students more creative than their peers, and how the classroom environment can nurture or smother that ability.” You can also view an entertaining presentation by Sir Ken Robinson on how we can kill young people’s creativity. Alfie Kohn also talked about how rewards and punishment for academic achievement do not motivate or increase young people’s learning. We know that young people have a built-in drive to learn about and master their environment and they experience an innate joy in this. The question for educators inside and outside of school, is how to tap into, and not extinguish, this natural drive. Daniel Pink and RSAnimate created an entertaining and brief video entitled “The Surprising Truth About What Motivates Us.” He presents evidence that shows that being self-directed, the joy of mastery, and the sense of purpose trumps the offering of rewards. To only offer carrots and sticks for performance “assumes that we are just better smelling horses”. His video provides good food for thought and I highly recommend afterschool program and educational leaders share it with their staff and facilitate the hearty discussions that will follow.